Even at the peak of farmers market bounty, we all need simple pantry dinners from time to time. 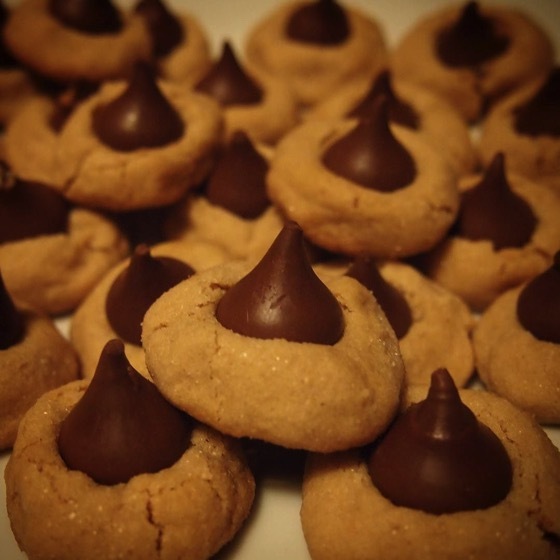 The ones to turn to when we’ve had a long day, or just want something comforting and restoring. 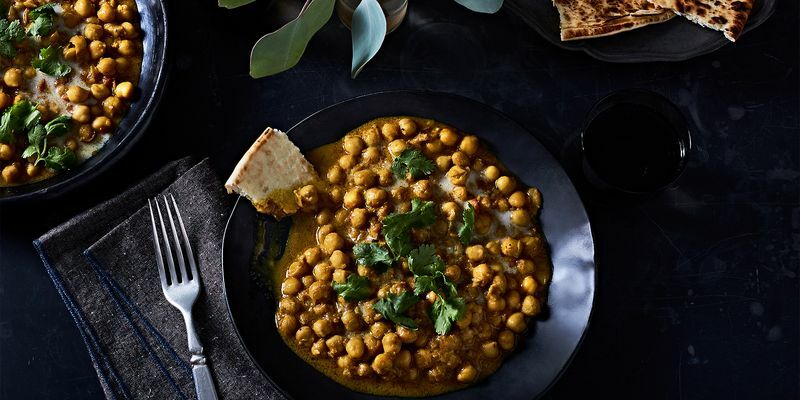 This creamy chickpea curry is mine. It’s inspired by a similar dish at Cassia in Santa Monica, California, where I ate last summer with a friend. It was served simply: a bowl of the curry with triangles of flatbread blistered from a clay oven. We tore off big chunks of the warm flatbread and swiped up every last bit. I’ve been dreaming about that thick, creamy curry ever since. 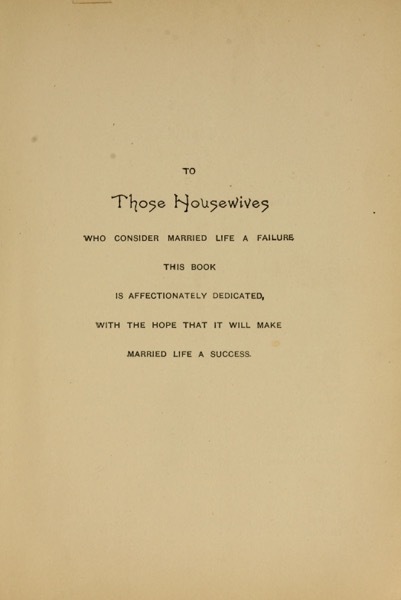 We take pleasure in presenting a book to the public with an arrangement of subjects entirely different from any other published, and designed especially to save much valuable time to the housewife. 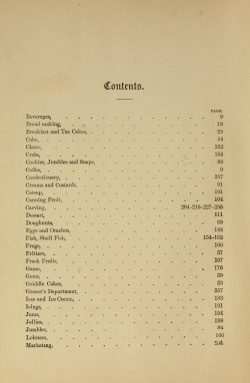 The subjects are so arranged that one has only to turn through the book, and from the headlines find each chapter in alphabetical order, making it easy to turn at once to any subject or recipe desired, without even turning to the table of contents. 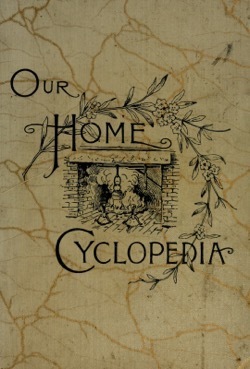 The object of this book is to give housekeepers the most improved and scientific cookery as developed by the most practical schools of cookery of the present day; keeping in mind economy as far as consistent with well cooked and healthful dishes. Bad cooking is not only a waste of health but of money. This book, no doubt, will save many times its cost to each purchaser. The object being to assist the housekeeper in a practical way, the authors have not catered to the epicure, hence the highly seasoned and expensive dishes have been omitted. 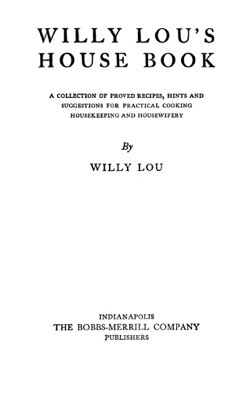 Cook books previously published, have been confined to recipes only, while the general information which is so essential, has been omitted. We have taken a step forward, in giving at the commencement of each chapter, general directions that will apply to the recipes following. 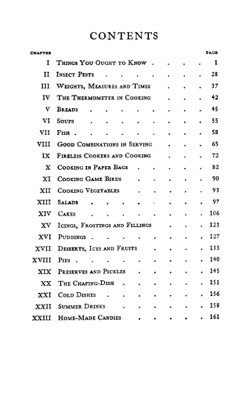 To illustrate, take for instance chapter seven, “Canning Fruit.” Before giving any recipes, valuable instruction is given on those essential points, as preparing the cans, the tops, the rubbers, the kind of cans to be used, heating the fruit, and a complete table giving the quantity of sugar required per quart, and the time for boiling any kind of fruit. In the chapters on poultry, game, and marketing, full information is given on selecting meats of all kinds, where the best cuts of meat are to be found, the carving etc. 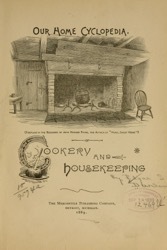 In the mechanical arrangement of this volume, the publishers have made it far excell any other cook book ever published. The type is large and clear, the leaves are broad, and the book is so bound that it will remain open at any point desired, thus saving one’s time in frequent opening, as is the case with books of narrow pages. 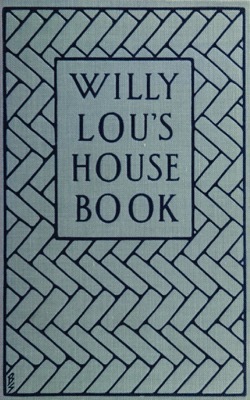 The initial letters are entirely new features, and were designed and copyrighted especially for this book. The artist was instructed to represent each chapter in its initial letter. How well he has done so the reader can judge when looking through the book. So valuable and so cheap a book as this one should be owned and used (not borrowed) by every housekeeper. If this book should be the means of bringing into the household, happiness, peace and contentment; if the husband hereafter sits at the table with a smiling and satisfied countenance, and the wife feels less of care and anxiety, then its mission will have been accomx^lished. ‘^Get a husband what he likes. Excellent Mead. 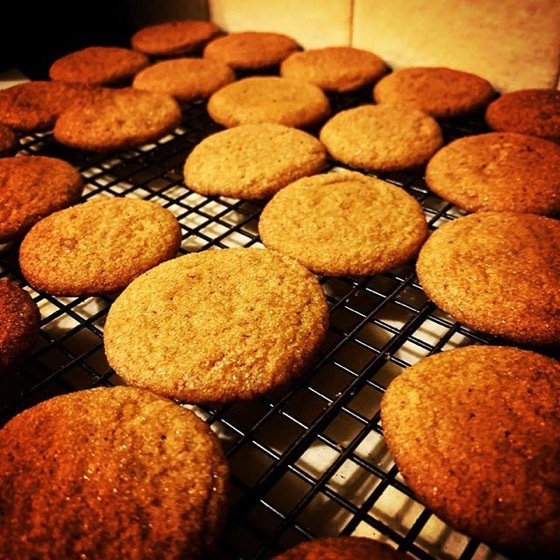 Three pounds brown sugar, one pint of molasses, one-fourth pound tartaric acid; mix, pour over them two quarts boiling water, stir till dissolved. When cold, add half ounce essence sassafras and bottle. 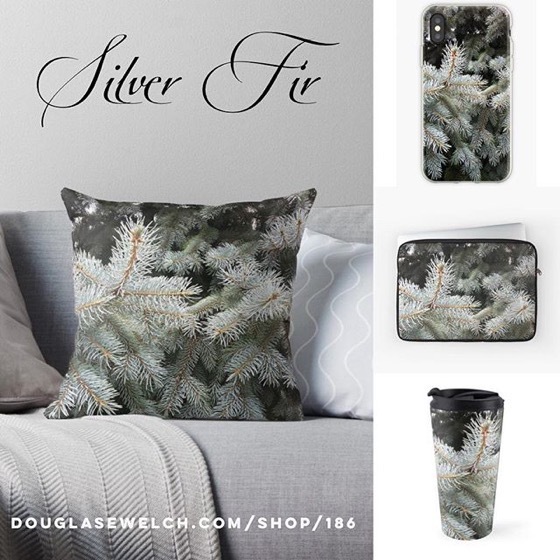 When you wish to drink it, put three tablespoonfuls of it in a tumbler, fill half full with ice water, add a little more than one-fourth teaspoonful soda. An excellent summer beverage. 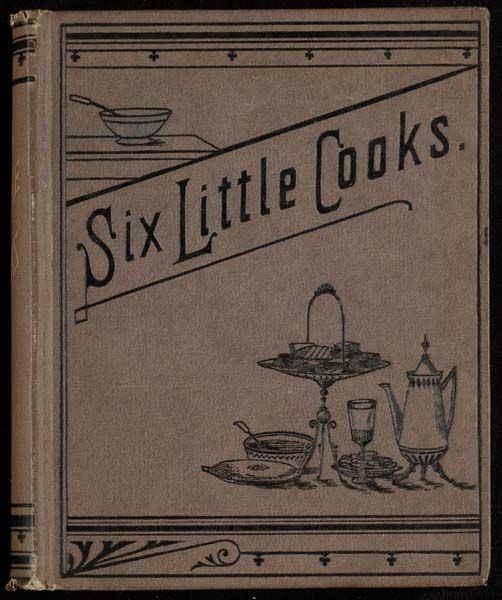 Publisher Detroit, Mich., The Mercantile publishing co.
Want a print copy of “Six Little Cooks”? There is a reprint available on Amazon and perhaps at your local library! But here am I, the author, plunging at once into the middle of my story without a word of explanation, not even a preface. Of course, no one can understand anything about it unless I go back a little, and tell you how it began. 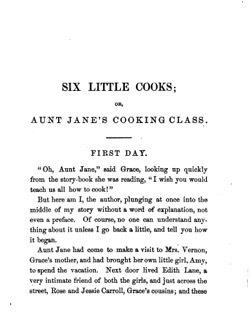 Aunt Jane had come to make a visit to Mrs. Yernon, Grace’s motlier, and had brought her own little girl. Amy, to spend the vacation. Next door lived Edith Lane, a very intimate friend of both the girls, and just across the street, Rose and Jessie Carroll, Grace’s cousins; and these five, witli little Mabel Vernon, made a happy company who were almost always together. Mabel was just nine years old, and the others were from ten to twelve, so there was not difference enough in their ages to prevent their being the best of playmates. Well — as I began to say, Grace was reading about a wonderful little girl who made such remarkable things in the way of cakes and puddings, that our . young person was seized with a desire to do likewise without delay. 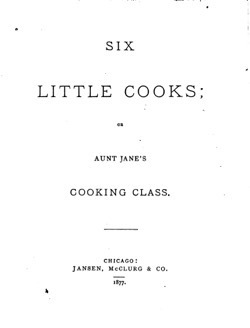 Aunt Jane was the kindest of aunts and the best of cooks, and Grace knew that if she would take the trouble to teach them, they would be well taught. No. 1. — Susan’s Cake. 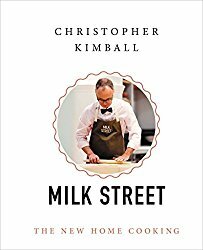 Three cups flour, two of sugar, two-thirds of a cup of butter, one cup of sour milk, three eggs, one teaspoonful soda, two of cream tartar. Two cups seeded raisins, or one of well- washed currants, added, makes a delicious fruit cake. I have tried all the recipes and the suggestions given in this book. Some of them I originated, many came from friends, a few from cooks whom I have employed. It was my wish to make a practical little book for housekeepers, because when I was a young housekeeper, just beginning, I would have been glad to have such an aid in doing things that now seem easy and simple. Nor does any housekeeper ever learn it all. 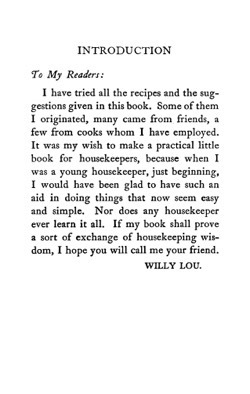 If my book shall prove a sort of exchange of housekeeping wisdom, I hope you will call me your friend. The Old-Fashioned takes us through the long and complicated history of what is arguably America’s favorite cocktail. I know, for myself, that this has become my go-to tipple whether at home our out on the town. It is deceptively simple and when well made almost perfect. The woody bite of bourbon, a slight sweetness from your favorite sweetener (mine is maple syrup), a splash of bitter to mellow it all together and a slice of orange to complete both the taste and visual profile. Yum! What started out as a relatively straightforward combination went through many changes over the years including the changing of ingredients, overburdening the drink with fruit and changing tastes, but a group of old-fashioned purists wrestled back the Old-Fashioned into something eloquently playable and ready to be experimented with once more. You’ll find old and new recipes here, showing you a place to start as well as excellent places to travel with your favorite cocktail. ** My version of this book was available from the Los Angeles Public Library in print and ebook versions. 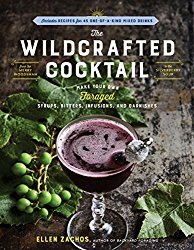 The Wildcrafted Cocktail is certainly an extremely niche book. 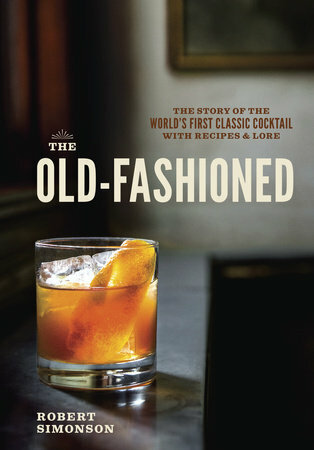 It is few people who go out into the woods and forage the ingredients for their cocktails, yet I still enjoyed the book greatly. It was wonderful to read about all the unique ingredients you might find in your own backyard. Still, I for myself I would be a bit leery gathering plants without a bit more knowledge, and confidence, that I wasn’t poisoning myself in the process. You might want to combine this book on a really good book on backyard foraging like Backyard Foraging: 65 Familiar Plants You Didn’t Know You Could Eat, to assist you in your search. Such detailed information is far beyond the scope of The Wildcrafted Cocktail, but very necessary to be successful. The Wildcrafted Cocktail is certainly worthwhile if only to expand your thinking about foraged ingredients and cocktails in general. Who knows? You might even have some ingredients in your very own garden that could find their way into your glass. Meet the natural lovechild of the popular local-foods movement and craft cocktail scene. 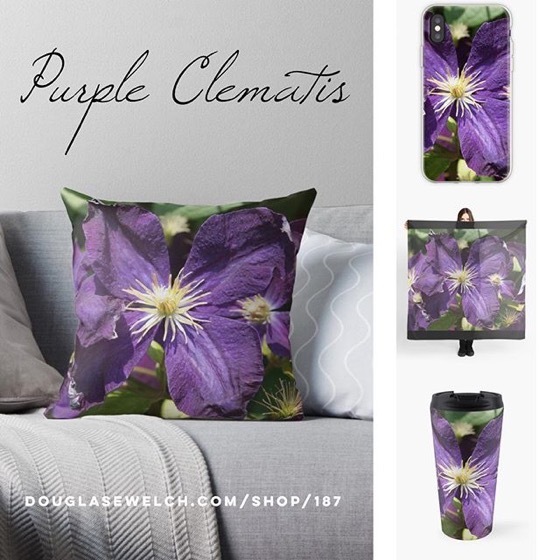 It’s here to show you just how easy it is to make delicious, one-of-a-kind mixed drinks with common flowers, berries, roots, and leaves that you can find along roadsides or in your backyard. Foraging expert Ellen Zachos gets the party started with recipes for more than 50 garnishes, syrups, infusions, juices, and bitters, including Quick Pickled Daylily Buds, Rose Hip Syrup, and Chanterelle-infused Rum. You’ll then incorporate your handcrafted components into 45 surprising and delightful cocktails, such as Stinger in the Rye, Don’t Sass Me, and Tree-tini.